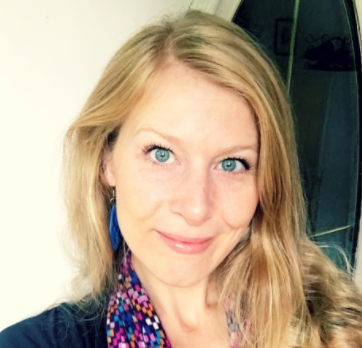 Dr. Allison Skinner is a postdoctoral research associate in the Social Cognitive Development lab and the Institute for Learning and Brain Sciences at the University of Washington. Written together with Andrew Meltzoff and Kristina Olson, her paper “Catching” Social Bias, Exposure to Biased Nonverbal Signals Creates Social Biases in Preschool Children appears in February’s issue of the journal Psychological Science. Below, Dr. Skinner describes the work and why she and her colleagues preregister their work. COS: What is your research about? AS: We wanted to know whether exposure to biased nonverbal signals (favoring one person over another) would lead children to develop social biases. Our results indicated that preschool children who observed an unfamiliar adult display positive nonverbal signals (e.g., smiling, leaning in) toward one unfamiliar adult and negative nonverbal signals (e.g., leaning away, scowling) toward another unfamiliar adult, subsequently favored the adult who received positive nonverbal signals. We also found that this social bias generalized to others, such that children also preferred the friend of the person who received positive nonverbal signals to the the friend of the person who received negative nonverbal signals. COS: Why did you preregister your work? AS: Shortly before we began this project we decided to begin preregistering most all of our studies. We thought it could aid in publication and that it is generally good scientific practice. COS: What benefits did you obtain from preregistering your work? AS: Since I began preregistering my studies I have observed a number of benefits. I think the most important is that we are making more careful and well-reasoned decisions when designing studies. Although I am no longer eligible for the Preregistration Challenge (because I already received a prize), I continue to use the Preregistration Challenge Template because it provides such a thorough inventory of issues to consider before launching a new study. On several occasions we have revised methodology or changed a DV based on things that came to our attention in the process of preparing a preregistration. It has also been helpful at other stages of my projects. Once the data is collected and we are working on analyzing data and writing up results it is helpful to have detailed documentation of our exact a-priori analytical plan. Even projects that seem very simple and straight forward can end up having quite a bit of flexibility in the way we analyze the data and present the results - having an established plan helps us (as well as reviewers and readers) delineate which analyses are confirmatory and which are exploratory. COS: What challenges did you face when creating your preregistration? How did you overcome them? AS: Doing a preregistration for the first time can feel like a lot of work. When it is not part of our regular routine before launching a study it can feel like a big obstacle, maybe even a waste of time. But once it becomes part of your routine it no longer feels so taxing, it is simply another step in the research process. People can also feel intimidated by the thought of committing themselves to a specific analysis plan in advance - but after getting used to it I find it helpful. It is good to have a record of what we had planned, and if we feel strongly that something should be done differently we can still do that - we just need to provide justification for that when we publish it. COS: What would you say to researchers who are about to start their first preregistration? AS: I would say that they should do a detailed preregistration document (e.g., like the Preregistration Challenge Template). I can see the appeal of a short/open-ended preregistration, but doing a longer and more detailed preregistration really forces you to think through your research questions carefully, which can end up saving you time and resources in the long run. If you do a really short/simple preregistration you miss out on this benefit.